The Open Identity Exchange (OIX) has said there could still be a role for the GOV.UK Verify service in local government. It has made the claim in a report based on an alpha project demonstrating how data collected by local authorities for identity providers could help customers without a digital footprint to register for the identity assurance service. This comes after a surge of speculation that the programme is running out of steam after the Government handed over responsibility for increasing use of the platform to the private sector identity providers. OIX is a non-profit organisation focused on digital identities and trusted online transactions of which the Cabinet Office, which has run the Verify programme, is a member. Its paper on the alpha project points to the problem of ‘thin file’ customers, who do not have the digital footprint from commercial transactions, being unable to register for the service. It points to recent problem of people being unable to use it in claiming universal credit, which has prompted the Department for Work and Pensions (DWP) to warn it will increase its costs in manual identity checks. The OIX project addressed the information governance, business and industry consultation required for local authorities to collect and manage the relevant data for identity proofing and registration. OIX says it has shown that local authorities could find substantial value in implementing Verfiy and an associated attribute exchange ecosystem. Savings for a metropolitan council with 275,000 residents are estimated at £4.4 million in identity assurance, £2.5 million in eligibility checking and £9.8 million in service delivery. It also modelled a workable technical solution for making local data available to the identity providers. 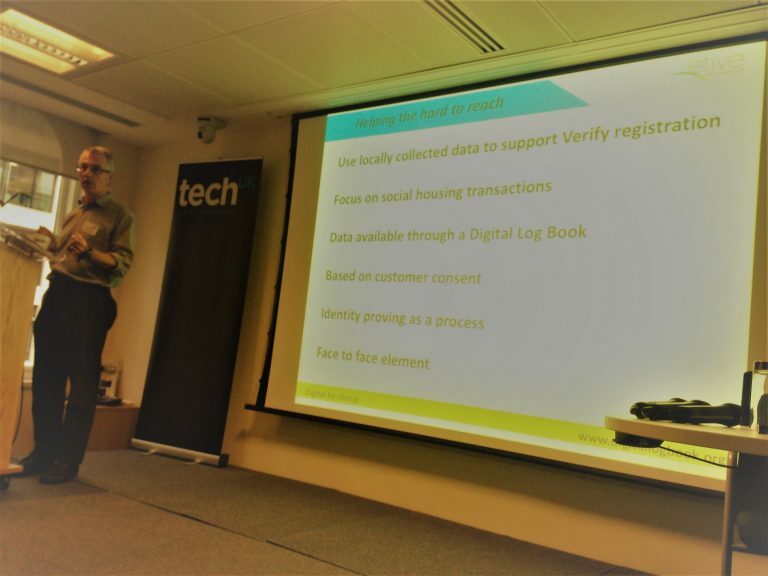 This involves using a Digital Log Book to connect local authority and housing association services to the Verify hub, which at the other end connects to the identity providers. “We conclude that LA data provides a valuable and practical solution to making GOV.UK Verify available to the widest range of potential customers, and that a beta project should be set up to demonstrate this in practice,” the paper says. It goes on to recommend that the beta project should involve implementing a live technical infrastructure, demonstrating how councils’ data could help people register for a Verify account, showing the viability of self-certification of local data sources, and carrying out user experience research. It also calls for work with the DWP to show how all this could help the universal credit application process. Just before Christmas, the Government Digital Service blogged some details of its plans to encourage the wider take-up of the service, including providing more clarity around digital identity standards and an increase in the types of identity evidence that can be used. In addition, the Cabinet Office updated its overview in mid-December, listing 16 central government services for which it could be used, and naming the Post Office, Barclays, Digidentity, Experian and SecureIdentity as identity providers. Royal Mail and CitizenSafe can also provide identity services but not create new accounts. This article was first published on the UKAuthority website by Mark Say, Managing Editor. We are delighted to have completed the Alpha phase of a project working with the London Boroughs of Tower Hamlets and Hackney in which GOV.UK Verify was used for local authority multi-service portals. The Open Identity Exchange (OIX)/Government Digital Service (GDS) project set out to demonstrate how the use of data collected by local authorities can be used to help ‘thin-file customers’. 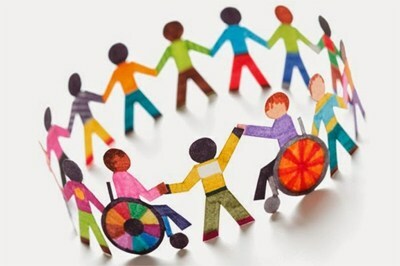 These are defined as the most vulnerable people in society who are in the greatest need of support to register for a Verify identity enabling them to access public services as quickly and efficiently as possible. In the announcement, which came out ahead of the Think Digital Identity for Government conference taking place tomorrow, Etive explained, “Without a digital identity we make it hard for those socially, financially and economically excluded people to participate in modern economic, political and social systems. The Alpha project, which builds on a previous OIX Discovery project, demonstrates how the use of data collected by local authorities can help thin-file customers register for a GOV.UK Verify identity. Etive said the project has demonstrated that local authorities collect and manage data that would have high value in the GOV.UK Verify identity proofing and verification process. This would help vulnerable people who are trying to access Universal Credits more quickly, for example, as well as other high value services such as housing. The business case set out to demonstrate that local authorities could derive substantial value from implementing GOV.UK Verify. Etive said, “We have modelled a workable technical solution to making local data available to GOV.UK Verify identity providers and started the process of designing a user interface that can successfully weave together local authority transactions with a streamlined GOV.UK Verify registration process. Organisations involved in the project include OIX, GDS, the Post Office, Mvine, Idemia, GBGroup and the Greater London Authority specifically on the business cases for London. The executive summary of a white paper published on the project said, “We demonstrate that local authorities have sufficiently robust information governance processes in place to be able to provide quality data to identity providers (IDPs) for identity proofing and verification under the Verify scheme, and that this data would be sufficient to help the majority of thin-file customers achieve a Verify account at level of assurance 2 (LOA2). This article first appeared on the Government Technology website written by David Bicknell. For more project infomation and white papers please go to Digital Log Book. In May there was a major Government identity conference highlighting the need for Gov.UK/Verify, the only legal standard of identity in the UK. Speakers came from many different organisations discussing the challenges of identity and Verify. Nic Harrison, Director, Service Design and Assurance at the GDS, highlighted that Verify is on a respectable growth trajectory when compared to similar schemes in places like Canada and Scandinavia. “It takes many national ID systems up to five to six years to get a 50% adoption” he said. One of the panel discussions was around how to help the highest users of public services who lack a digital file gain a legal standard of identity. Could federated ID schemes be the only realistic way that so-called ‘thin file’ customers? Ian was speaking during a special panel discussion on the potential for Identity services in the UK public sector outside of central government, which so far has proven to be the primary adopter of the Verify ID assurance scheme. “Federated Identity is a huge opportunity for cost savings in local government, and most of all for the thin file user,” said Stuart Young of Etive. Proving eligibility, streamlining processes and cutting fraud could all happen a lot easier for this class of user, argued Young, claiming 53% of fraud is identity-related. So says Adam Lewis, Director, Citizen Identity & Personal Health Records at NHS Digital. Adam also spoke at the Think Digital Identity for Government, where he spoke on how Identity is faring in the NHS context. Adam began by reminding delegates that the concept of an ‘Empowered Person’ is central to the Five Year Forward View plan for NHS renewal – a way for patients to quickly find people to help them. 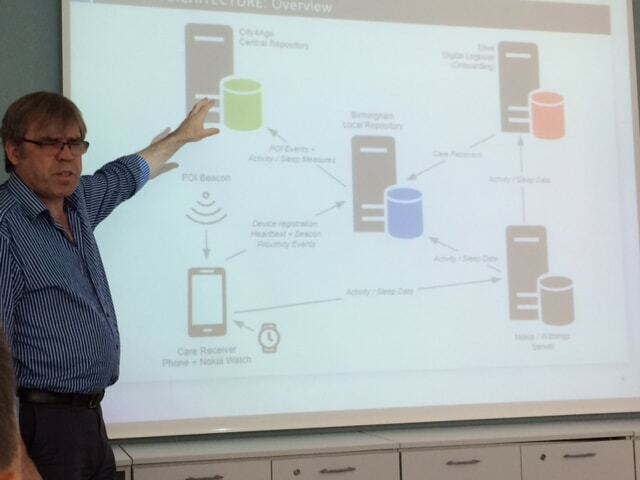 We held the final consultation into the use of Verify for the hard to reach in May of this year at techUK’s offices. This 4th industry consultation gave a wrap up of 6 months of work from Tower Hamlets, Hackney, GLA, GDS, Post Office, GBG, Digidentity and MVINE. Information Governance – are LA processes good enough to meet GPG45 standards for checking and managing of data? Technical Design & Build – we looked at the metadata used to describe any data source and creating a standard for LAs and HAs to adopt. User Journeys – we followed a ‘light touch’ approach and prepared some hypothesis for the Beta project and put together some recommended workflows and user designs. Business Cases – what are the business cases for adopting Verify, why identity matters looking at operational cost savings, the costs of identity and eligibility checking, population movement between LAs and tackling fraud in the public sector. Implications for GOV.UK/Verify – develop an ecosystems approach combined with an attribute exchange for LAs and HAs to trust, building on previous work around Micro Sources of Data. For more in depth information and background view the slides here. Project blog on the OIX website. In March we held a London Borough Councils consultation into digital identity and the use of Verify to underpin a legal standard of identity for local authorities. Presentations were given by the Greater London Authority on a Smarter London and the use of data and technology, used together for the good growth of the city. A Smarter London needs a new city-wide collaboration between public institutions, utilities, research and the technology community by and for Londoners. The Government Digital Service discussed how Verify is the new way to prove who you are online, to a legal standard. Verify offers citizens safer, simpler and faster access to Government services and is designed to protect against the risks and threats of identity theft. Ian Litton discussed the importance of a highly assured standard of identity which allows more complex, high value, eligibility based services to be delivered online, to citizens. Federated identity, to a common recognised standard, is important as it establishes trust between organisations, as well as between a LA/HA and their customers. The real value of identity is that it can be used to establish a network of trust. That trust extends beyond the customer and to service providers to include other organisations who hold authoritative data about the customer. The focus has been on data collected during social housing transactions because these have high value in terms of identity assurance. LAs and HAs already go through face-to-face processes to establish an applicant’s identity. They also build up a history of activity with those clients as they bid for housing, request repairs and so on. We looked at how this data could be made available to Verify IdPs using a Digital Log Book – a type of personal data store. This locally held data will be unlocked by customer consent, the customer agreeing to their data being used to help them achieve a Verify identity, so GDPR compliant. 1. Which services require the most time, effort and cost to establish a citizen’s identity and eligibility? 2. How the use of a personal data store would support LAs handling population movements across Boroughs? 3. How federated identity, coupled with a personal data store, could improve services to the homeless and victims of domestic abuse? In response housing benefit, council tax, housing fraud and Adult Social Care proved to be costly and time consuming. Identity needs to be assured to a level that can be defended or produced in confidence in court. The use of a personal data store would prove useful if citizens felt they were in control of their data and trust in the system with one generic standard. · Providing a data schema is provided by the council. · A user authentication system as defined by the council. · APIs available as part of the package to allow a council to integrate with other systems, without punitive financial costs. A public consultation that took place on the 13/12/17 on GOV.UK Verify with industry leaders and suppliers into digital identity management and verification. A key project objective is to raise the assurance levels of citizens enabling them to access national and local services more efficiently, using a legal standard of identity. 1. The roll of private sector hubs and cross sector identity federation. 2. Business case for LAs and HAs to use Verify, for business and customer benefit. 3. How LAs and HAs can assess the return on investment for adopting federated identity. 4. The customer journey and connecting Verify to multiple services, national and local. The feedback and input we received from the consultation was extremely valuable and will be integrated into the report findings. More information available at www.digitallogbook.org. 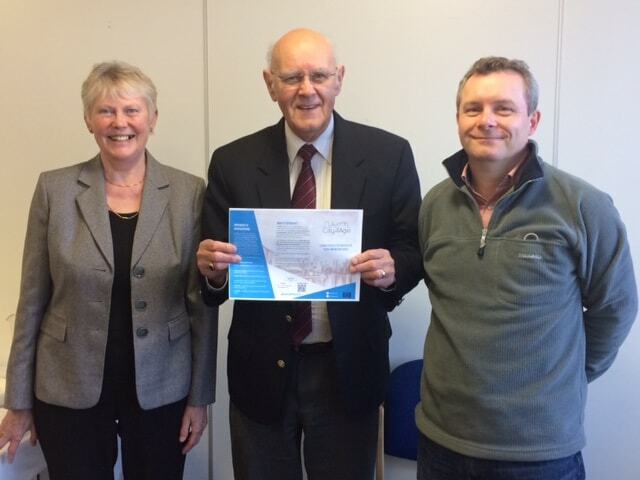 Our work continues with Birmingham City Council on their award winning City4Age project. Last week we continued to install more beacons across Yardley, focusing on areas where older people are most likely to visit such as shops, cafes, library, community centre and even a city farm. This will enable us to track their movements with a view to understanding daily life patterns and then introduce appropriate interventions based on their behaviours and requirements. We got great support from Cllrs Sue Anderson and Paul Tilsley CBE, here with Stuart Young, who came to the Anne Marie Howes Centre (Birmingham NHS), a 32 Bedded Rehabilitation Centre. 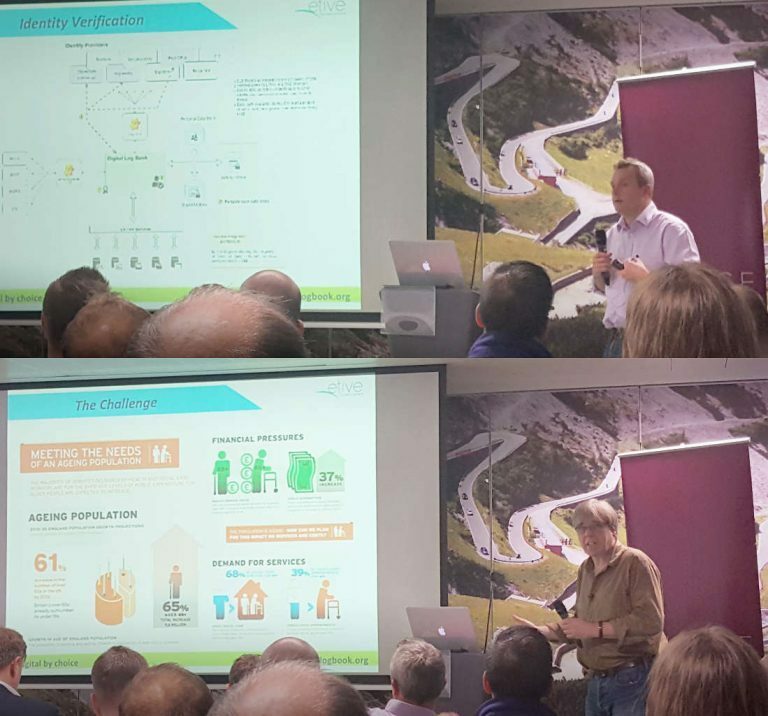 Etive were delighted to be discussing one of our IoT projects at the #25 IoT meet up in Edinburgh last week. Phil and Stuart discussed the City4Age project we are doing for Birmingham City Council, which is an EU project focused on producing elderly-friendly city services to support the independence and wellbeing of older citizens. A consortium of 16 organisations were created to help solve the challenges of ageing in today’s society by using non-intrusive, IoT technologies to monitor citizens as they move around their environments. The solutions are being tested in six locations: Athens, Birmingham, Lecce, Madrid, Montpellier, and Singapore. We’re also delighted that Birmingham is one of Britain’s top 10 smartest cities in the second UK Smart Cities Index, commissioned by Huawei UK and conducted by Navigant Consulting. Birmingham is ranked as the 4th smartest city in the UK. One of the criteria that Birmingham was assessed on was the City4Age project, worked on by us at Etive.